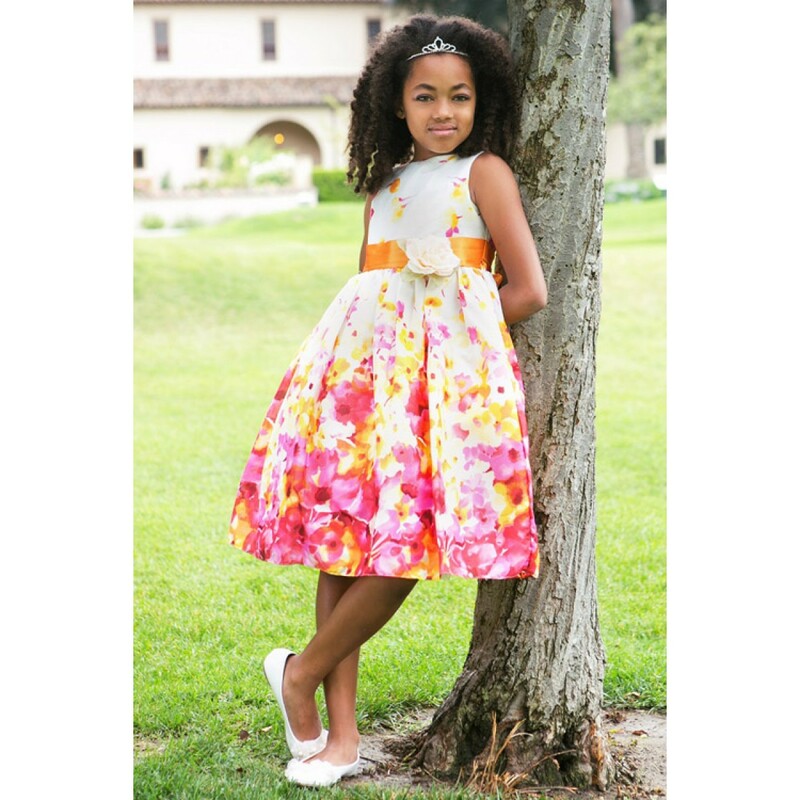 A light, fun loving dress that will make your girl's day! 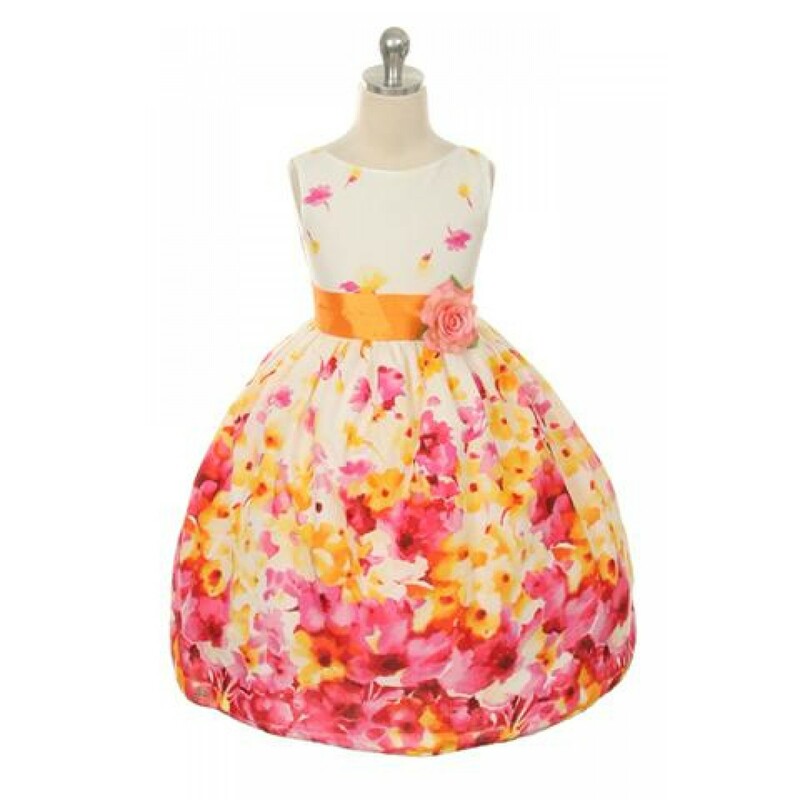 gorgeous floral printed 100% cotton dress with a solid color sash. 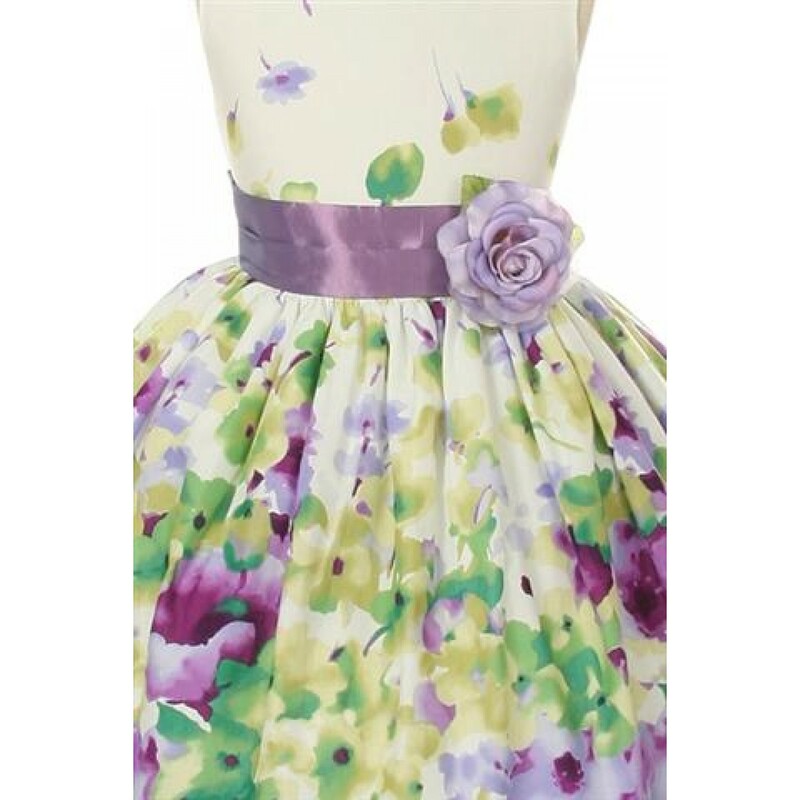 A lovely flower detail rests on the side of the waist that is a tie-back sash in the back. 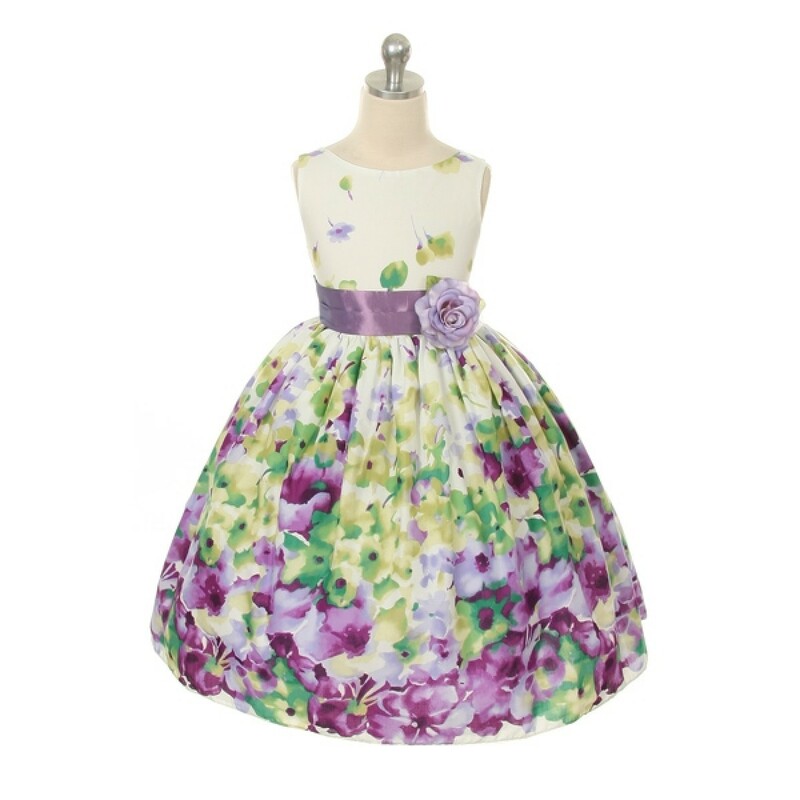 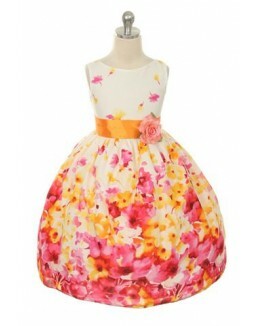 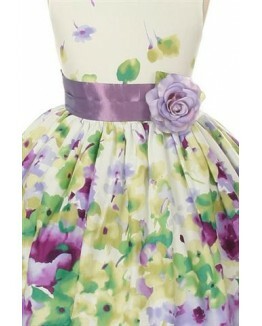 Perfect for a flower girl, junior bridesmaid, holiday, Easter, summer, sping and any other special occasion. 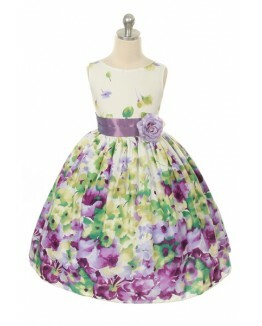 2 (Fit Size 1 to 2) 22" 21" 24"
4 (Fit Size 3 to 4) 23" 22" 29"
6 (Fit Size 5 to 6) 25" 24" 33"
8 (Fit Size 7 to 8) 26" 25" 35"
10 (Fit Size 9 to 10) 28" 27" 39"
12 (Fit Size 11 to 12) 29" 28" 40"
14 (Fit Size 13 to 14) 30" 30" 43"
16 (Fit Size 15 to 16) 31" 31" 45"